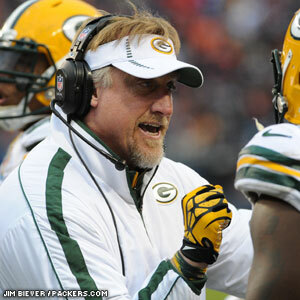 Packers outside linebackers coach Kevin Greene has been named a semifinalist for the Pro Football Hall of Fame’s Class of 2014. As a semifinalist, Greene is one of 25 modern-era candidates still under consideration for Hall of Fame induction this year. This marks the eighth straight year Greene has reached the semifinalist stage, and he has been a finalist — one of the final 10 — each of the last two years. During Greene’s 15-year career with four different teams, he recorded 160 sacks, third most in league history behind Bruce Smith and Reggie White. Greene has been a member of the Packers coaching staff since 2009. Four individuals with ties to the Packers were among the 127 nominees announced this week for the Pro Football Hall of Fame’s class of 2013. Outside linebackers coach Kevin Greene, former safety LeRoy Butler, former GM Ron Wolf and Clay Matthews Jr., father of current LB Clay Matthews III, are all on the list. The list of nominees will eventually be pared to 15 finalists, who will join former Packers LB Dave Robinson, a senior nominee, for the final stage of consideration. Greene was a finalist last year after being a semifinalist in previous years. 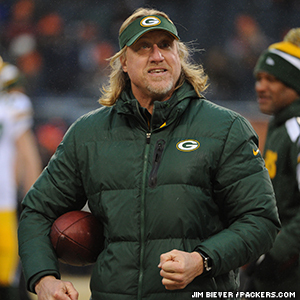 A semifinalist three times previously, Packers Outside Linebackers Coach Kevin Greene for the first time has advanced to the finalist stage for potential induction into the Pro Football Hall of Fame. Greene was named one of 17 finalists (15 modern-era and two senior nominees) by the Hall of Fame selection committee on Saturday. Former Packers GM Ron Wolf also was a semifinalist but did not advance to the finalist stage. For more on both individuals, please refer to a story posted earlier this week on packers.com. The HOF selection committee will meet on Saturday, Feb. 4 (the day before Super Bowl XLVI) in Indianapolis to elect the 2012 class of inductees. Between four and seven of the finalists will be elected, but no more than five modern-era nominees can be elected in any one year. The class can grow to six or seven members if one or both of the senior nominees are chosen. Linebacker/Defensive End … 6-3, 247 … Auburn… 1985-1992 Los Angeles Rams, 1993-95 Pittsburgh Steelers, 1996, 1998-99 Carolina Panthers, 1997 San Francisco 49ers … 15 seasons, 228 games … Selected by Rams in 5th round (113th player overall) in 1985 draft … Played primarily on special teams as rookie, only season he didn’t register a sack … Did not have any starts in second season, but played in all 16 games and managed seven sacks … Added 6.5 sacks in 1987 and by fourth season was bona fide pass rusher for Rams, registering career-high 16.5 sacks, including career-best 4.5 sacks in win over 49ers in season finale that clinched playoff spot for Rams … Following year matched his 16.5 sacks total … Had double-digit sack totals ten times, second in record book at the time … Only time missed recording 10 sacks in any of last eight seasons was 1995 when he had team-leading nine sacks for Steelers … Named to Pro Bowl five times (once with the Rams, twice with Steelers and Panthers) … Selected first-team All-Pro, 1989 with Rams, 1994 with Pittsburgh and 1996 with Carolina … Captured league sack title twice, 1994 and 1996 … A member of NFL’s All-Decade Team of 1990s … Played in six conference championship games and one Super Bowl … Led team in sacks 11 times and amassed 160 total sacks, third all-time at time of retirement … Also had three safeties, 26 opponent fumble recoveries, and five interceptions … Born July 31, 1962 in New York, New York.